Lord Dalhousie comes to Nova Scotia. Halifax in 1816. The Castine Fund. Presbyterian rivalries. Lord Dalhousie’s College approved. Scottish educational traditions. Laying the cornerstone, 1820. "Dalhousie Castle lies a dozen miles southeast of Edinburgh, not far from the village of Bonnyrigg, but out in the Scottish countryside, as befits an ancient establishment that dates from the thirteenth century. Of that original building only the foundations and dungeon remain; the main structure now visible was built about 1450, using the salmon-red stone quarried across the South Esk. The castle stands between the South Esk and the Dalhousie Burn that flows into it, two streams where salmon and trout still run. "The rivers flow north in this part of Midlothian. The whole countryside, Edinburgh included, fronting on the Firth of Forth, is backed against the Moorfoot hills and the hills of Lammermoor. The history of this Midlothian countryside is shot through with legend, and with the wars against England. Sir William Ramsay de Dalwolsey swore fealty to the English king, Edward I, at Dalhousie Castle, when Edward stayed there on his way to defeat William Wallace at Falkirk in 1298. The Ramsay family were raised to the peerage in the time of the Stuart king, James VI of Scotland and James I of England (1603-25); that did not prevent the first Earl of Dalhousie from fighting with his regiment in 1644 at Marston Moor, down in Yorkshire, on the side of Oliver Cromwell. Cromwell himself wrote despatches from Dalhousie Castle in 1648, a few months before the execution of Charles I in London in January 1649. "After the Union of England and Scotland in 1707, the Ramsays and other Scots became soldiers in the service of Great Britain. The fifth earl fought in the War of the Spanish Succession, 1702-13; another Ramsay signed the agreement for the surrender of Quebec on 18 September 1759. The ninth earl, George Ramsay, ours, fought with Wellington in Spain in 1812-14, and at Waterloo in 1815. Watching the ninth earl’s panache that terrible Sunday, 18 June 1815, Wellington said of him, 'That man has more confidence in him than other general officer in the army.' That confidence was not always justified; the ninth earl’s compaigning in Spain did not earn him accolades from historians, who pictured him as slow and methodical rather than decisive. Yet he must have been well regarded at the time, for during and after the war he received honours from king and Parliament - a KB in 1813, after Waterloo a GCB, and the official thanks of Parliament. "All that did not help much to repair Dalhousie Castle, which Lord Dalhousie set about after his return from Waterloo. He got an architect to help restore it to its original form, which cost more than he had readily available. Like many British officers after the Napoleonic Wars, he sought a colonial appointment to preserve his military rank and pension. 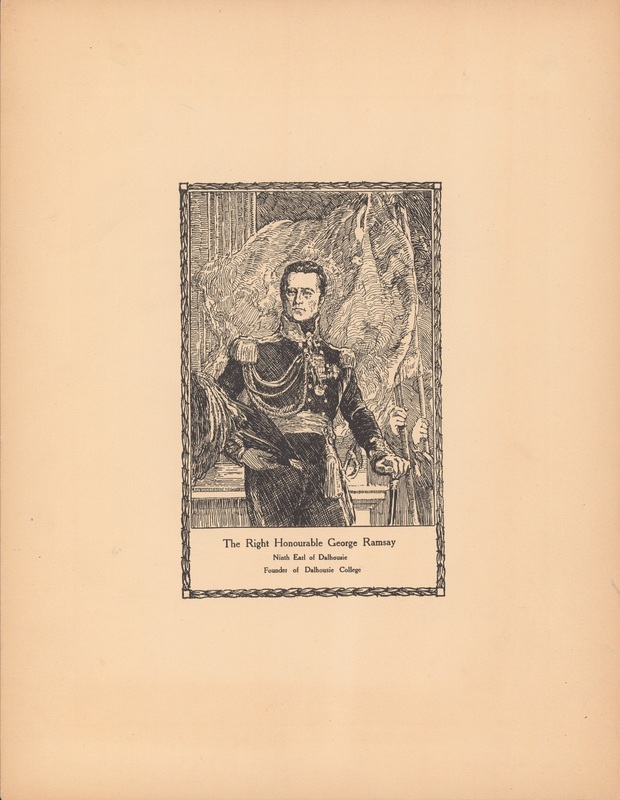 His idea was to follow Sir John Coape Sherbrooke as lieutenant-governor of Nova Scotia and thence as governor general of British North America to which Sherbrooke had been appointed in April 1816..."